There’s only five short days left until Christmas, and if you’re like us, there is still some last-minute holiday gift shopping to do. Here’s a few special items we think would be great under any Christmas tree. 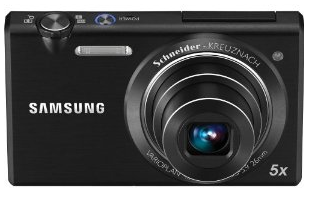 Capture all those special holiday memories with the Samsung MV800 digital camera. It’s sleek, impossibly thin and ultrachic. The cutting edge adjustable LCD screen tilts from 0 to 180 degrees to get the best shot possible. It’d be ideal to snap beautiful photos of some delicious Korean meals too! This 5-in-1 Griddler is the epitome of functional and versatile kitchen tool. 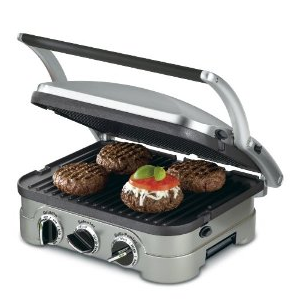 It’s a contact grill, panini press, full grill, griddle, and half grill/griddle. The possibilities are endless. Kalbi and bulgogi lovers, look no further. Is there such thing as too much kimchi? 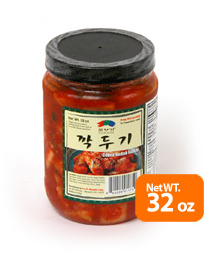 Surprise your kimchi fan with the best gift of all, a generous supply of our favorite spicy side dish that will last them a lifetime (or at least a few months…) Check out a few more awesome holiday options on Hmart’s holiday page. The ultimate present for a world traveler? 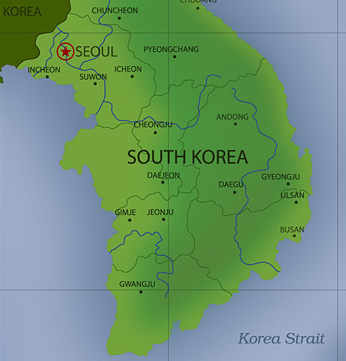 A round trip to Korea, of course. Give that lucky someone the unforgettable chance to experience Korea, and its delightful culture and cuisine. 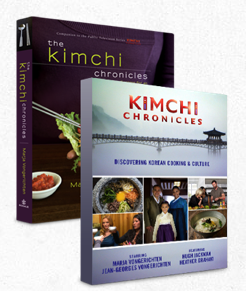 If that special someone doesn’t already have the Kimchi Chronicles cookbook and DVD set, then why delay? Get both at a deeply discounted price.